Our dancelfoor personalisations are a great way to add that special touch to your big event. 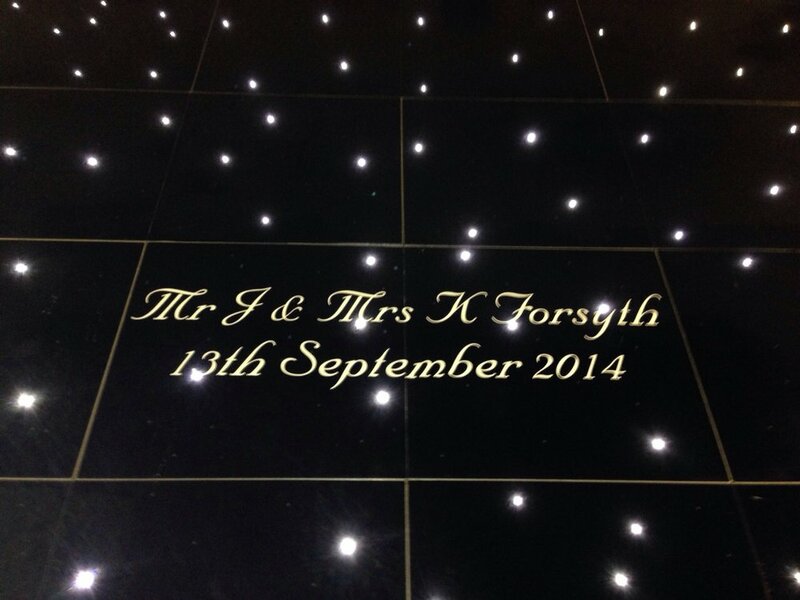 With personalisations for weddings or if you want your brand to take the centre spot of the floor, we’re able to provide bespoke personalisations in whatever style you like! See your name surrounded by lights!